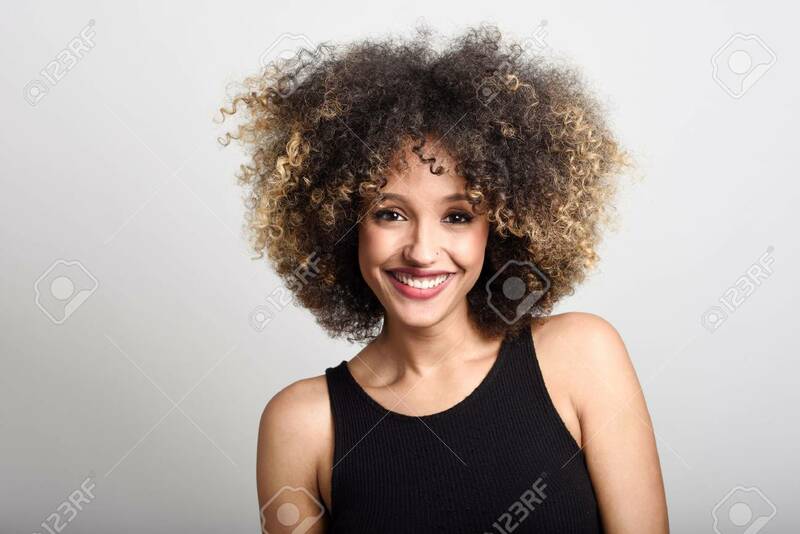 Young Black Woman With Afro Hairstyle Smiling. Girl Wearing Black.. Stock Photo, Picture And Royalty Free Image. Image 59982386.